It is used as anthelmintic against most nematodes and cestodes. 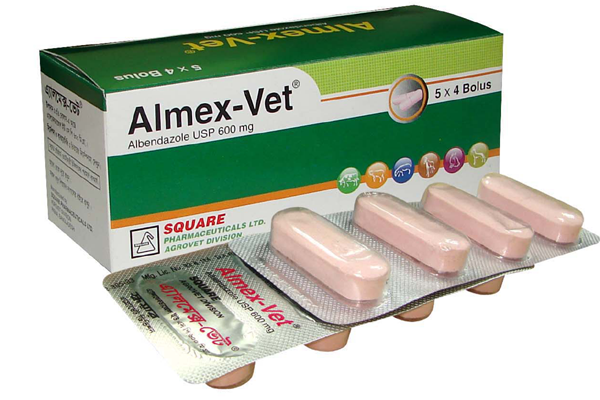 Almex-Vet® is effective against these gastro-intestinal parasites: Bunostomum, Chabertia, Cooperia, Haemonchus, Nematodirus, Ostertagia, Strongyloides, Dictyocaulus viviparus, Moniezia expansa, Liver flukes and Paramphistomes. It is also effective against different types of worms, lung flukes and lung nematodes.